Can we really claim this public space? Some time ago, I documented a project by this name, where Jaaga and a team of volunteers made a determined attempt to beautify the space under Hebbal flyover. I was told that they’d also painted some other flyovers, such as the one on Richmond Circle. 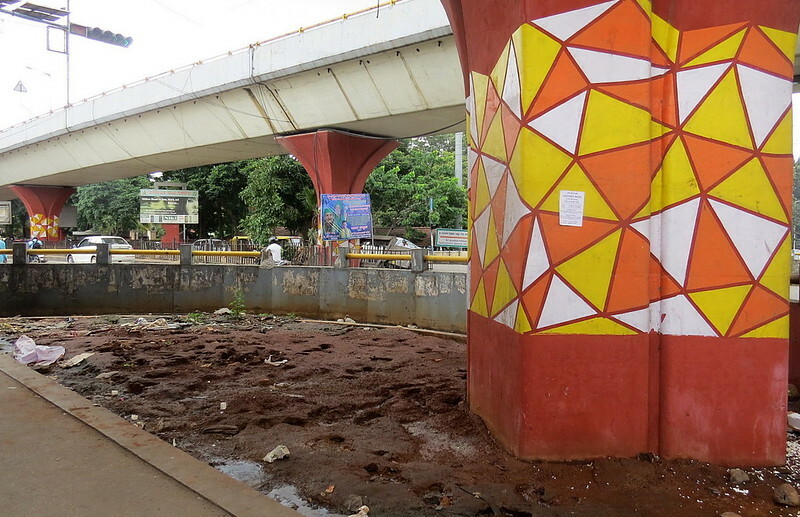 is another team, called the Ugly Indian, taking the initiative to beautify the area under other flyovers. 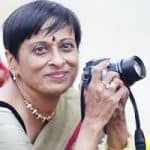 The day I attended, we had a motley crowd of people.. from the local bigwigs, to the transgenders, to the police constables on duty… everyone had a say on how the space could be used, and everyone lent a hand… or a paintbrush. I could not help wondering, though, how the space between two (or more) very busy corridors of traffic could be used by the general public. It made me think of issues of sustainability of the maintenance needed to keep these areas clean, and even if they were maintained, the ability of a pedestrian to use the space for anything other than just a haven while making a dangerous crossing of the road. Sure enough, I took this photo of the space under the Jayadeva Flyover which is meant for pedestrians. Though the paint on the pillar is still in good condition, the same cannot be said of the condition of the ground next to the pedestrian pathway. Muddy, and smelly, it’s a place a person would want to leave as fast as possible. In fact, the Jayadeva flyover would, in my opinion, be a good example of a well-used space. Instead of dedicating it to a public that cannot use the space, a dry waste segregation and collection shed has been set up there. This solves both the problem of accumulating trash in the area, and its segregation. However, I must say that the idea of having the public “claim” the public “UFO” space seems to be an impractical one.